Visit our dedicated awning department to see how you can get more out of your caravan or motorhome. We have a wide range of awnings on display, each model offering a different way for you utilise the extra space they offer. Below are the main brands we provide, click to view models in stock. Our experienced staff are always on hand to help you find the perfect awning to increase the space you may need on your holiday. Whether you need shelter from the sun on those hot days or a place for muddy boots on the adventurous ones, talk to our awning department and they’ll help you find the perfect model to match your needs. For details of our New and Used awnings, please contact us on 01772 685949. Need to know how to measure for your awning? Take a look at our guide. Camptech is one of the largest manufacturers, of caravan awnings and fabrics, in China. 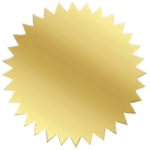 Together, with vast expertise and years of experience, they have developed quality products. There continuous desire to achieve the development of new and wonderful products starts here in the UK. Since being founded in 1974, Inaca have been providing quality made awnings, tents and accessories. We have a great selection of these models erected and on display in our vast showroom at Preston Caravans and Motorhomes. Offering contemporary designs and innovation in all their designs, SunnCamp products provide refreshing uses of space and clever features throughout. You are bound to find the SunnCamp Awning for you within our selection. 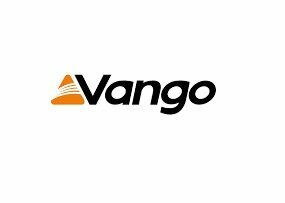 Vango have over 50 years of experience in the outdoor industry, developing award winning caravan air awnings. Special offers and one-off awnings, hand picked by our awnings manager for you from our dedicated awnings showroom.